Zrní in a Czech band from Kladno. Their style might be described as alternative rock. Even though you might not know them this concert promises to be something special! 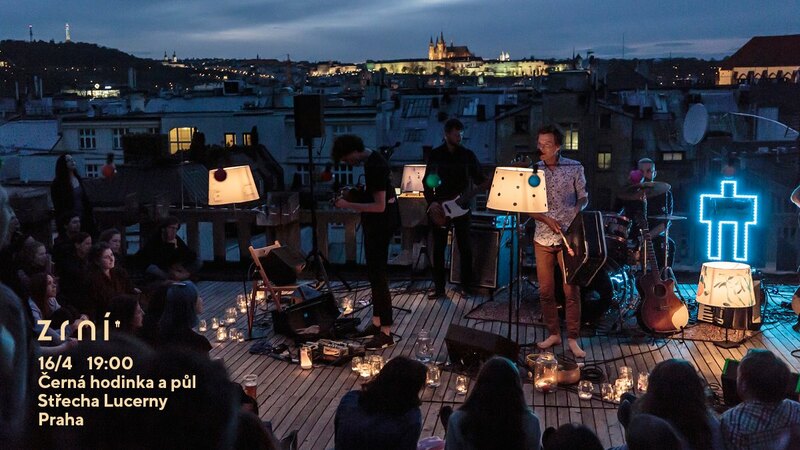 Just imagine that there will be no boundaries that divide spectators and the band, you will seat in intimate atmosphere created by lamps and candles on Lucerna rooftop with the view on Prague castle listening to acoustic sounds late in the evening. Just imagine these vibes! Find a link to tickets on Facebook page.